Discussion in 'Fish and Invertebrates' started by Bruce Spiegelman, Mar 26, 2019. Whether it's one of a hundred you can still be counted here if you love wrasses! And an Agae Blenny that swims and eats with the wrasses. Im planning on adding a Choati leopard if I can get one through QT. Um.... so lists are nice and all, but where's the pix!? And another red Coris adult that would swim about and then start chasing its tail...just like a dog! You have to look at it and care for it! I'd love a red coris again, but they are just terrors in the tank. 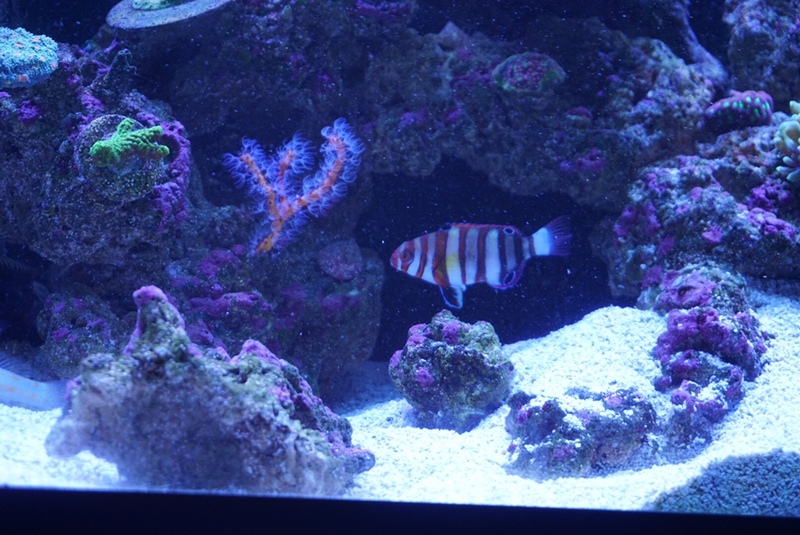 No doubt one of the most beautiful fish in the hobby though. When the lights hit them just right they just don't look real. As to the flashers, you're right I'm sure. In a tank of multiple species there's always one who flashes occasionally ( they do build a loose, but fairly benign hierarchy) , but the others don't (at least in my tank.) On the other hand, you do get an assortment of incredible colors! Get out of our thread you wrasse-less wonder. Also a question: Do you guys have any compatibility issues with having all these wrasses together or is there not a worry? So.... this isn't a simple yes or no question, but it boils down to this -- if you have a large enough tank, AND (most important) if you choose the right species (fairy's, flashers, etc), AND you take the right steps to introduce them, AND you keep them well fed, AND there's plenty of rockwork, THEN it's not much of a worry, BUT individual results may vary. cdhappy, Baykes and GabeB like this. I tend to bend and sometimes break the rules. Bigger tanks certainly helps but if one fish is he’ll bent on not liking the other it won’t matter.